The Guest House is a newly opened 3 br 3ba, 1930's cottage next door to Maria's Garden. 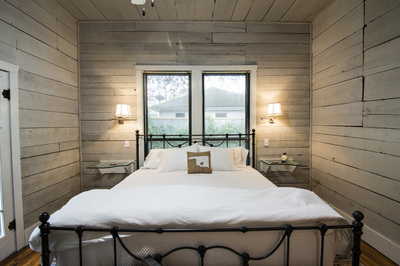 The Guest House is a reclaimed 1800 sq ft little jewel, lovingly restored whole property rental. It is a little urban retreat at the gateway to downtown, near Central Park, The Goddard Art Center and some great small independent shops and restaurants that make Ardmore authentic.